Review $579 120W 24" x 24"
Review $420 135W 2.5' x 2' 13.5"x13.5"x4"
Review $895 600W 3' x 4' 25"x11"x3"
100-3WLED 5 to 7ft² 15.75"x8.2"x 2.5"
Diamond Series Review $549 150W 2.5' x 2.5' 12.5"x12.5"x3"
Review $995 340W 3' x 3' 18" x 12" x 12.5"
Review $425 432W 20ft² 11.4" x 11.4" x 2.45"
Review $599 165W 2.5' x 3' 14" x 12" x 3"
Utilization of indoor grow lights is on the rise and finding the most effective grow light is essential for indoor growers. Throughout the pages of this site, you will find information on the best LED grow lights on the market today. Identifying the top LED grow lights takes time and knowledge. This site contains the most popular LED grow light reviews and has a wealth of supplemental information all indoor growers will need to grow successfully. Grow lights are artificial light sources used for supporting plant growth indoors when the appropriate amount of natural sunlight is not available. Given that indoor grow systems rarely have adequate exposure to natural sunlight, finding the appropriate grow light to promote proper photosynthesis is the ultimate goal for indoor growers. LED (light emitting diodes) grow lights are quickly becoming a primary choice for indoor growers due to varied benefits related to the plant growth process. Indoor growers hope to get maximum yield from their plants by optimizing the plant grow process, and proper lighting is key. LED grow lights can be the best option for indoor growers for many reasons and the information contained on this site is designed to help all indoor growers optimize their indoor grow activity. LED grow lights are designed to effectively prompt plant photosynthesis and one must have a general understanding of the light spectrum and the process of plant photosynthesis in order to know how grow lights can be most effective. Light spectra are necessary for various plants during different stages of development. The right light presented at the right time is vital to optimize plant growth. Growing plants may utilize the full spectrum of light throughout the grow process, but certain spectra of light are more important than others. The optimal light spectra can act as the catalyst for effective plant flowering, growth and reproduction. Many studies have shown that plants benefit most from light spectra between the wavelengths of 400 and 700 nanometers for photosynthesis and blue and red spectrum wavelengths are absorbed and utilized more by growing plants than other wavelengths. The visible light spectrum consists of light in violet, indigo, blue, green, yellow, orange and red colors. 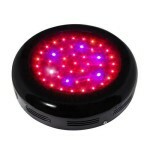 Red and blue light are very important for indoor grow and thus growers need to utilize a light product that emits this type of light effectively. LEDs can be selected that emit just the right light for a given plant type. Blue and red light emitted by LED grow lights can optimize plant photosynthesis. Photosynthetically Active Radiation (PAR) is used to define the wavelength range between 400 nm to 700 nm. Green plants reflect a greater amount of light in the green range of the light spectrum but absorb a greater amount of light in the blue and red range of the light spectrum. The chloroplasts in the plant take the energy in the absorbable light range (mostly red and blue) and use it to make food. This is known as photosynthesis. LEDs can be more effective at promoting the indoor grow process as they conventionally emit the red and blue light necessary to produce a high quality plant. LEDs for indoor grow can have targeted wavelength options that can optimize the growing process, and they can do so in an energy efficient manner. Cost savings is key as LEDs will expend less energy than their high intensity discharge (HID) counterparts. LED grow lights are capable of producing just the right kind of light. Different wavelengths of light are absorbed by plants for different growing functions. 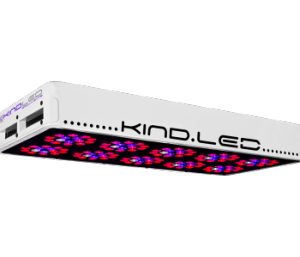 As noted earlier, LED grow lights have the ability to increase specimen productivity while reducing energy consumption by generating the specific light wavelengths that optimize plant growth. Within the span of electromagnetic radiation, visible light exists. Almost all life depends on this part of the spectrum to survive. Various wavelengths of light stimulate specific photosynthetic responses in specific plants. Photosynthesis, the process by which green plants use sunlight to synthesize foods from carbon dioxide and water, depends on the absorption of light by pigments in plants. Chlorophylls and carotenoids are the major pigments in plants and are the working parts of the plant’s light absorbing machinery. Chlorophyll a is a primary light absorbing pigment in plants. It does not absorb light in the green part of the light spectrum but reflects this light. 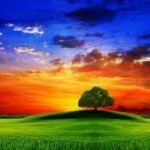 This is why chlorophyll appears green and why we perceive plants as green. Chlorophyll a absorbs light in blue-violet region and chlorophyll b absorbs light in the red-blue light region. 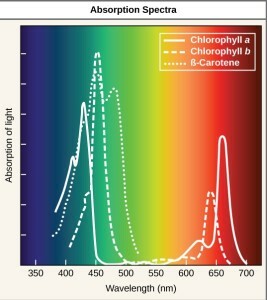 Both Chlorophyll a and chlorophyll b reflect green light. Plants depend on chlorophyll a to harvest light and put it to good use, but other pigments are utilized by plants as well. Chlorophyll b is also well utilized by plants and Carotenoids are accessory pigments that support the photosynthetic process in plants. One can see in the wavelength graph how the actual photochemical efficiency trend and the absorption spectrum trend run parallel to each other. Note the wavelength values posting below the peaks of these trends. These values are the wavelength values that an indoor grower needs to replicate with a grow light system. 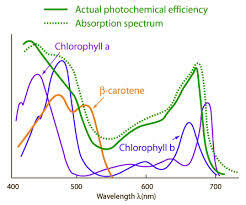 Note in the graph below, chlorophylls’ absorb light in the violet and red portions of the spectrum. You can see from the graph that plant pigment molecules absorb light in the 400 nm to 700 nm range. As noted earlier, this range is known as the photsynthetically active radiation range (PAR). This is the optimal wavelength range of light needed for indoor growing. It can be easily observed in the wavelength absorption graph that the wavelengths between 400 nm and 480 nm are quite important to the plant grow process and that wavelengths between 600 nm and 700 nm are also very important for overall plant development and health. In general, plant photosensitive pigments typically absorb light in the red and blue range, but also utilize some wavelengths in the UV and far red range. Blue light supports vegetative leaf growth during a plant’s growing process. Studies through the years have shown that blue light mixed with red light can produce higher plant biomass. Approximate blue light spectra ranges from 430 nm to 450 nm and is often utilized early in the plants vegetative stage of the grow cycle. The wavelength can support chloroplast movement, phototrophic curvature, stomatal opening and seedling growth regulation while inhibiting elongation growth. Blue light can support chlorophyll formation and photosynthesis and ultimately raise the photomorphogenetic response. LED grow lights are capable of producing blue and red light at the same time and this makes them more efficient and effective than other grow light options. A grower can work to maximize biomass production while minimizing the used energy when using LEDs. LED grow lights can be produced so that the ideal ratio of blue to red light is emitted for the best possible grow process outcomes for a particular plant. In this way, an LED grow system can use less energy to produce the best spectrum of light for chlorophyll producing plants. Red light, which ranges from approximately 640nm to 680nm, supports flowering during a plant’s grow process. Red light is very important for photosynthesis, flowering and fruiting regulation. Many studies through the years have shown that blue light mixed with red light can produce higher plant biomass. As mentioned above, LED grow lights can produce red and blue light at the same time which makes them a popular choice for indoor growers. Once again, the perfect ratio of red to blue light can be a part of the LED grow light design and a grower can expect positive grow outcomes given a particular grow objective when using LEDs. LED grow lights can produce the light spectrum that most closely aligns with the Action Spectrum for chlorophyll producing plants while expending the least amount of energy. 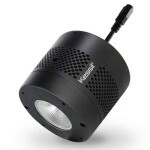 In this way, LED lights for indoor grow can be very cost effective. Ultraviolet light, specifically centering around the wavelength of 380nm, can be beneficial to a plant by promoting the build up of phenolic compounds which are consumed in some diets and are studied for their role in human health and disease. 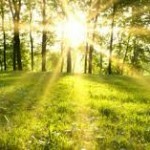 UV light also promotes antioxidant activity of plant extracts. Green light, 500nm to 550nm, is most often reflected by the chlorophyll, but is sometimes utilized so that the light being emitted for indoor grow is comprehensive regarding overall spectra treatment. Ultraviolet Light 100nm: Negative affect causing plant to shrivel quickly and die. Ultraviolet Light 280nm: Bordering harmful range. Wavelength causes plant color to fade. Ultraviolet Light 315nm to 400nm: Can encourage coloring and thickening of leaf but generally not an overly productive wavelength for plant growth. 400nm to 430nm starts process of chlorophyll absorption. Visible Spectrum Blue Light 430nm – 470nm: Maximizes photosynthesis. Peak absorption of chlorophyll occurs, promoting vegetative growth. Visible Spectrum Green Yellow Light 510nm: Little absorption. Visible Spectrum Orange Light 610nm: Not as effective for photosynthesis. Prevent Pests. 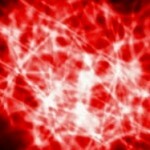 Visible Spectrum Red Light 640nm to 660nm: Maximize chlorophyll absorption peak. Form germination and flower bud. This range is vital for flowering. 750nm – 1000nm: Minimal absorption of chlorophyll in this range and towards the higher end of the range is excessive heat production which promotes plant elongation. LED grow lights can be formatted to provide the proper diet of light for a specific plant species. One can see from the light absorption charts above where peak light absorption ranges are for most plants. Tuning in to these specific ranges with LEDs can optimize plant photosynthesis. LED grow lights can provide the light diet a plant needs to optimize photosynthesis all while consuming less energy. LEDs can provide the proper blend of the specific light wavelengths that encourages proper photosynthesis which can ultimately enhance growers’ yields. NASA studied the benefits of utilizing LED grow lights for growing plants during space travel. NASA tested red and blue LED grow lights and compared grow outcomes against broad spectrum white fluorescent lamps. There objective was to identify grow light technology that efficiently grows fruits and vegetables that space travelers can harvest. Blue and red light emitting diodes enabled NASA researchers to eliminate unnecessary wavelengths and produce a healthy yield in an energy efficient manner. Given the lower heat output of LEDs, growing in a small space was also easier and safer. The lifespan of an LED grow light was much greater than the incandescent or fluorescent bulb counterparts as well. These are reasons why NASA is partial to developing a space-travel grow-process that incorporates LEDs to emit the light spectra that can effectively act as a catalyst for plant photosynthesis. NASA astronauts want to run the most effective and efficient grow system that they can on their missions and their data revealed that LED grow lights can be very effective and efficient. A Purdue Agricultural Team experimented with light emitting diodes while growing tomatoes in 2013. The team found that using LED lights significantly reduced energy costs while tomato yield outcomes were positive. Researchers specifically shared that the LED grow lights required far less energy than traditional high pressure sodium lamps. Since LEDs give off much less heat, they can be placed closer to the plant. The close proximity is an advantage of LED grow lights given that the light can also shine on the understory of a plant. This enhances photosynthesis. The team found that the LED grow lights they used consumed about 25 percent of the energy of traditional lamps. This study was published in the journal of HortTechnology. Since most indoor growers will need to set up a grow system in a confined space, the space saved with LED grow lights can be quite beneficial. Read more about Purdue LED research activity here. The Institute of Agriculture at the University of Tennessee recently reported on the positive effects of LED grow light utilization. According to a lead researcher at the Institute, LEDs are effective because they can emit the optimal wavelength of light and do so in an energy efficient manner. Doctor Dean Kopsell, a lead researcher at the university, reported that LED grow lights can grow plants cheaper, faster and with less energy. Doctor Kopsell’s words express why so many indoor growers are transitioning to LED technology. It is a technology that will allow anyone from a novice, to a grow specialist, to produce an indoor grow system that can grow plants cheaper, faster, and with less energy than other grow light alternatives. LED grow light utilization for the indoor grower is, in essence, the perfect blend of technology that can help to optimize the indoor grow process. Phillips Horticulture reports that through various studies, the use of light emitting diodes has been found to be very effective in producing successful yield on a wide range of crops. One reason cited for the successful yields includes the adaptability of the LED grow light. Finding the optimal light recipe with LED grow lights is a primary validation given by Phillips Horticulture to justify utilizing LEDs. LED grow lights can help an indoor grower tune in to the specific light recipe needed for growing various species of plants. LED grow lights can act as the catalyst for plant photosynthesis for many different plants. Phillips reports that LED grow lights can support development of a wide range of plants, and this versatility is one big reason why the use of LED grow lights has grown considerably over the last decade. Researchers at Michigan State University recently studied differences between several broad spectrum light sources and how their utilization affected plant growth. Ultimately, the team concluded that incandescent lamps are highly inefficient and are being phased out of production. They reported that HPS lamps are better than the incandescent lamps regarding energy efficiency, but still waste more energy than LEDs without producing statistically better results. The research team shared that LED grow lights were likely to consume less energy and deliver the specific light diet a plant needs, all while having a longer life span than the HPS lamps. Plant yields are best when the optimal wavelength of light is utilized at the appropriate time. 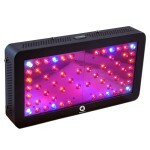 The blue and red light range is the optimal light range for enhancing the photosynthesis process for plants. LED grow lights can be utilized to provide a specific recipe of light under which a particular species of plant can best flourish. LED grow lights have been found to provide the supplemental light that most closely aligns with the natural light spectrum and optimal wavelengths necessary for successful plant development and yields. 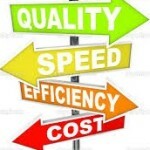 Research reveals that LEDs are energy efficient and cost effective. They can be used effectively in smaller spaces to maximize plant yield outcomes for indoor growers. This is why so many indoor growers are now transitioning to an indoor grow system that utilizes LED grow lights. The best part of this transition is that it is supported by comprehensive research from respected Universities and even NASA. If NASA thinks that LED grow lights can best help space travelers produce fruits and vegetables outside of our world, then we can feel confident that we can successfully use LED grow lights to produce a positive yield in our homes throughout our world. What are the primary benefits of using LED grow lights to grow plants? Can LED grow lights save a grower money? What is the difference between advertised watts versus the actual watts that the product draws? Do different plant species or varieties benefit from different spectra of light? What is the optimal distance an LED grow light should be placed from a plant? Do LED lights get hot like HID lights? Do LED grow lights require a ballast? What is the appropriate number of plants that can be grown under an LED grow light? Is it important to utilize primary and secondary lenses when using an LED grow light product? What is a beam angle and why is it important? What is the difference between a 1 watt, 3 watt, 5 watt, and 10 watt diode? What are power stabilizers and should I use one with my LED grow light system? Do plants require more or less water when grown under an LED grow light? What are common signs of over watering a plant? What type of water should be utilized during the grow process? What is an ideal temperature for an indoor grow environment? 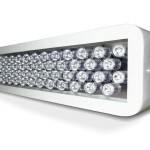 In which LED grow product should I invest? What are some of the primary benefits of using LED grow lights to grow plants? LED grow lights are a viable alternative to other grow lights due, in part, to their ability to stimulate plant photosynthesis while producing less heat and consuming less power. In this way, LED grow lights can be one of the most cost effective products on the market. LED grow lights can be purchased to blend the specific wavelengths of light which research shows to be most effective, while also dialing in to the specific wavelengths that may be needed to successfully grow a particular species of plant. LED wavelength optimization can be utilized to enhance the vegetative growth stage of a plant as well as its flowering stage. LEDs provide these abilities all while outlasting most contemporary counterparts. Most LEDs are rated to last over 50,000 hours while most other grow lights might only last half as long. A longer lifespan is just one more reason LEDs can save a grower money in the long run. Can LED grow lights save a grower money? The simple answer is yes. Research has shown that LED grow lights produce less heat and consumer less energy. Over a period of time, LED grow lights can pay for themselves due, in part, to cost savings that will accumulate from LED efficiency. LEDs have been shown to consume far less energy and produce less heat than other grow light systems. LEDs can emit specific colors of the light spectrum without using color filters making them more efficient and less costly than traditional counterparts. LED grow lights can also last longer while being cycled. The lifespan of other traditional lights, like fluorescent lamps, can have a shorter lifespan given the cycling pattern that one may wish to establish. In the end, LED grow light use can save a grower money in several ways. They are energy efficient, emit less heat and can provide the optimum light frequency for plant growth and bloom periods. This can mean smaller power bills, fewer burned out plants and an enhanced yield. What is the difference between advertised watts versus the actual watts that the product draws? The wattage advertised by a manufacturer is often associated with the products potential, but the actual draw of the product may be moderately under this specified value. Every manufacturer will be different in the way that they analyze their particular models, but a grower should always keep in mind that LED grow lights can run below their advertised potential. 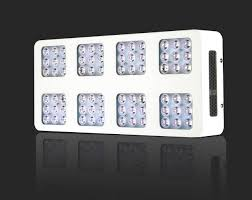 For instance, if a manufacturer says that their product contains 150 x 3W LEDs, it is not prudent to purchase this product if one believes they need exactly 450 Watts to adequately cover their given grow area. Growers need to note the Volts, Amps and Watts of a product in order to gain a more comprehensive picture of how the product can be best utilized. Remember, Watts = Amps x Volts. A grower can utilize a Volts / Watts / Amps Calculator converter to get reliable figures. Each diode of an LED system may run on a different amperage based on the wavelength of light being emitted. Individual diodes are not routinely maximized with current. This allows them to produce less heat and have a longer lifespan. Growers should note that the stated wattage and the actual power draw will differ. The actual power draw will often be around 60 to 70 percent of the stated wattage. When researching grow lights, one should look for products from companies that actually state the power draw of each device. If the manufacturer is unwilling to provide this information, it might be a sign that you should look elsewhere. Do different plant species or varieties benefit from different spectra of light? The short answer is yes. Different plant species and varieties do benefit from different wavelengths of light. A plant not only benefits from specific wavelengths, but also benefits from the timing of the wavelength provision. A grower needs to be sure that all necessary spectra of light are included in the light provided for a given plant species or variety to grow optimally. Thus, a grower should research the process of photosynthesis for a particular plant species and understand the grow process of the species so that the purchase and utilization of a specific grow light can work to optimize the vegetative/flowering grow stages. In general, plant photosensitive pigments typically absorb blue light and red light. Some wavelengths in the in the far red and the UV range are also absorbed. What is the optimal distance an LED grow light should be placed from a plant? This answer depends on a couple factors. 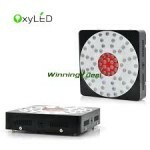 One important factor to consider is the LED product that one is using. 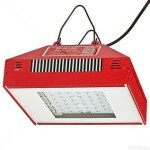 The manufacturer will provide recommendations for each specific grow light product. The distance away from the plant that an LED must be placed will vary based on the power of the specific model being used, as well as the objective for the grower. The optimal distance though will vary given your specific room set up. Experimentation will ultimately be key in determining the best position for your grow lights given your situational conditions. Do LED lights get hot like HID lights? HID lights create light by arcing electricity through gases contained inside the bulb. 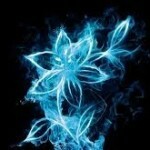 This makes the gasses glow and also makes the bulb very hot. 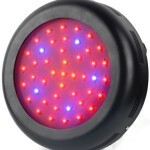 The high heat of HID is excess energy not necessarily utilized in the grow process of a plant. LEDs do not need high heat to produce the light needed to initiate the wavelengths which prompt the photosynthesis process. Although LEDs do produce a minimal amount of heat, they are much more efficient than HIDs and produce far less heat overall. This makes LEDs cost effective and safer. It should be noted that higher power and higher wattage will increase heat output. 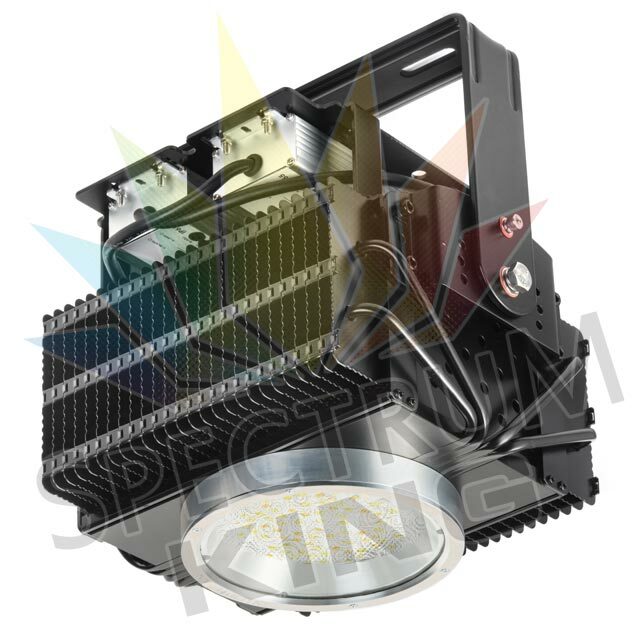 High powered LEDS, often in the 10W range and above, could require heatsinks and/or fan supplements to moderate temperatures. Do LED grow lights require a ballast? Unlike HID grow lights, LED grow lights do not require ballasts in order to create the light necessary for optimal plant photosynthesis. What is the appropriate number of plants that can be grown under an LED grow light? Each grow light will have a specified footprint area that the light will comprehensively cover. 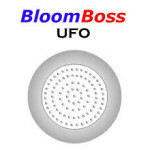 The grow light manufacturer will provide specifications on the optimal coverage area for each light. The variables that need to be considered include the specific growing objective, the plant species, and the targeted size that the grower wishes to grow the plant. Given these basic variables, a grower can then utilize the manufacturer’s grow light “footprint” information to make an informed decision. 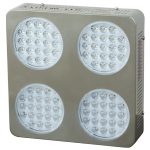 Is it important to utilize primary and secondary lenses when using an LED grow light product? Manufacturers of LED grow lights do their best to show that their lights provide the greatest zone of Photosynthetic Active Radiation (PAR) coverage. The optimal PAR range is often cited as 400 to 700 nanometers. 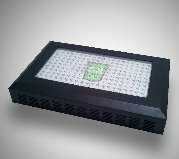 Some manufacturers sell grow lights with primary and secondary lenses, and some sell LED grow lights with only primary lenses. Primary lenses over the LED chip can help to harvest the usable light and reduce refraction. Secondary lenses can manipulate the light further and redirect the light once again. The light being refocused by a secondary lens can sometimes intensify the light and boost the PAR values, but it should be noted that the PAR value boost could be for a less broad range. A secondary lens might refocus the light into a smaller coverage area where the PAR value is more intense, but the overall vegetative and flowering footprint of the LED light that manipulates with multiple lenses may be smaller. What is a beam angle and why is it important? When a manufacturer of a grow light refers to beam angle, they are referring to the way the light comes off of the light emitting diode. Each diode has a primary lens which will focus the light being emitted outward from the LED chip or Die to cover a specified area. Essentially, beam angle is how the light emitted from the grow light spreads out once it leaves the grow light. This is important because the beam angle of light will have a direct impact on the plant due to the intensity of the light being emitted. It should also be noted that beam angle refers to the angle of light being emitted from each individual LED chip or die. Each one can be controlled or angled. The greater the beam angle, the faster the light disperses or spreads out. Remember that the wider the beam angle, the lower the intensity of the beam. This could mean that a wider beam angle results in less light penetration to the deeper levels of the plant. Many growers look to utilize a beam angle within the 60 degree to 90 degree range to assure that the light intensity is sufficient. Proper beam angle, given a specific grow light goal, is a positive thing as it can create the optimal footprint of light for a given plant grow objective. 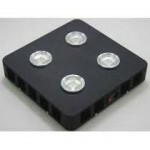 All manufacturers of LED grow lights should provide coverage charts for their specific product. Some manufacturers will even provide a supplemental analysis of your grow area and grow objective to support you in determining which light provides the best beam angle to optimize photosynthesis in your grow area. Beam angle becomes less important if one is growing inside of a cabinet or small closet-like room. In cases like these, walls and reflectors bounce the light back to the plant. It should also be noted here that controlling beam angle is a benefit of LEDs, unlike traditional HID lights that emit light in all directions. What is the difference between a 1 watt, 3 watt, 5 watt and 10 watt diode? The simple answer here is the power running through the diode. 1W diodes are generally going to be ineffective for growing plants. They generally do not produce enough light and will not likely act as a catalyst for flowering. 5W diodes are more powerful and emit a more intense light. 3W and 5W diodes can be effective and are often described as having a great combination of light intensity balanced with product efficiency. It is often the case that the higher wattage values translate into deeper canopy penetration. The deeper the light travels into the plant canopy in a given grow area, the better the photosynthesis process and outcomes. A grower should be aware that upping the wattage can often mean increasing the size and the light product overall. A 5W LED is often built on a larger semiconductor die size than a 3W LED. Since indoor grow is often about growing successfully in a confined amount of space, bigger does not always translate into better. When one moves up the wattage scale, say from a 3W to a 5W or even up to a 10W, the diode size increases. As the diode size increases, so does the amount of space needed to build the grow light. The higher the wattage value, the less densely packed the diodes are and therefore the bigger the unit. 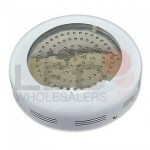 One should also keep in mind that more power and greater wattage will also increase the overall heat output. Even though LEDs have been shown to be energy efficient and produce less heat than traditional grow light counterparts, utilization of heatsinks and/or fans is not out of the question for high powered LEDs. The range most commonly associated with indoor growing falls into the 3W to 5W range. What are power stabilizers and should I use one with my LED grow light system? Utilizing LED grow lights can be cost effective since ballasts and heat venting systems are not necessary. Power stabilizers can be used to regulate the voltage that comes from your power box and protect your LED grow light system from fluctuations in power. A power surge could happen and if it does, it could damage the internal circuitry of the LED grow light. Utilizing a power stabilizer can be a good way to protect your LED grow light system from potential pitfalls of power fluctuations at a minimal cost. If you have started the indoor grow process already, then you know that there is enough time and investment made in the process to warrant the added protection. Purchasing a power stabilizer to supplement the process and protect this investment seems to be a reasonable choice. Do plants require more or less water when grown under an LED grow light? LED lights have been shown to be more efficient and produce less heat than their HID counterparts. As in all grow scenarios, the grower will monitor the ambient room temperature to maintain an effective environment where the vegetative and flowering process happens effectively. Water absorption and evaporation rates can vary based on variables such as ambient room temperature, heat output from the grow lights being used, the composition of the soil used, as well as the specific plant being grown. Water utilization can be affected by these variables, as well as others. Indoor growers need to be sure that their soil composition will work to move excess water away from the root zone of a plant so that the plant does not drown. A relatively inexpensive way to monitor soil moisture content is to use a moisture meter. A device such as a moisture meter can easily provide the grower with a relatively quick and simple way to determine the watering needs of a plant. Utilizing a moisture meter can be an efficient and effective way to avoid problems associated with over-watering or under-watering. What are common signs of over watering a plant? Several observations can be made to help a grower determine if the plant is being over-watered. Fungus of mold that develops on the surface of the soil is a sure sign that the moisture content of the soil if too high. The plant itself can also reveal signs of over-watering. A plant’s leaves can present with brown or patchy spots which is one sign of potential over-watering. Leaves turning an off color and soft and then falling from the plant can also be a sign of over-watering. Soft, discolored and mushy roots at the bottom of the grow container can be yet another sign of over-watering. Utilization of a moisture meter can help a grower know if the soil has the correct moisture content throughout the grow process. What type of water should be utilized during the grow process? Alternative water options can sometimes be better than tap water. The additives to tap water can vary based on municipality and therefore be more difficult to control. Tap water can contain chlorine fluoride, as well as other chemicals that are not necessarily intended, and so many growers will choose to use another source. Rain water, bottled spring water, distilled water or well water are all alternative options that one can utilize as an alternative water source. If you have access to these different types of water, then it can be beneficial to run an experiment to determine which water type works best for your particular grow situation. Keep all other grow conditions and variables the same, and then run the experiment by watering different plants with the varied water types. Observations made over several weeks can be enough to definitively reveal to a grower which watering option will likely produce the best results over the long run. What is an ideal temperature for an indoor grow environment? On average, many growers work to keep the ambient temperature of their indoor grow environment between 70ºand 80º, but specific plant grow objectives also need to be considered. Different species of plants require different conditions for optimal grow outcomes. An indoor grower needs to have a comprehensive understanding of a specific plant’s optimal grow conditions and then monitor the indoor grow environment so that it meets these conditions. In which LED grow light product should I invest? It is clear that LED grow lights can be effective at emitting just the right type of light to optimize plant photosynthesis. 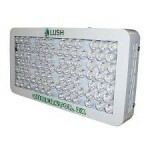 What needs further attention however is which LED grow light is the best grow light for a specific grower. One goal of this site is to create a list of LED grow lights with comprehensive reports that one can review at leisure to determine which LED grow light will best suit their needs. 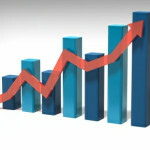 The list is created in an easy to use format that provides important information up front. Detailed article information can be accessed through this list to provide the indoor grower with a more comprehensive review of product related information to make an educated choice. Product reviews will be intermittently added to this list over time. I hope the information contained on this site makes the research and the decision making process easier for all. Finding the best LED grow light is the goal and my LED grow light reviews will help make your search a more productive one. Here is to growing big at home!